Filling a need. Sokolewicz, who worked at an ad agency in Michigan prior to moving to Bradenton with her husband, Luke, has always loved food and baking—but not until she was diagnosed with gluten and lactose intolerance did she begin experimenting with gluten-free, vegan treats. Her coworkers—none of them gluten-free or vegan, she says—encouraged her to sell them, and the idea for Retrobaked was born. Upon moving to Florida, she and her husband found a live-work space in Village of the Arts and Sokolewicz began producing her treats from her new home kitchen. Vintage-inspired. 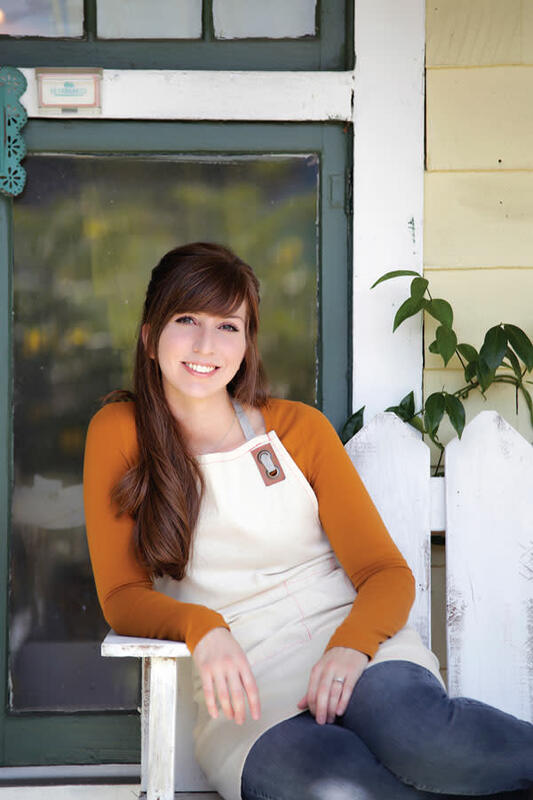 Sokolewicz develops all of Retrobaked’s recipes herself. 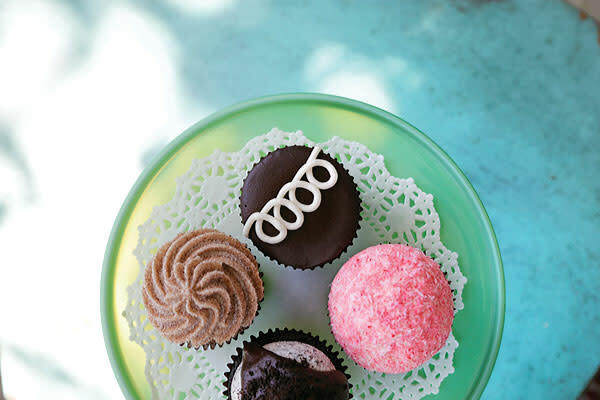 “My favorite thing is re-creating nostalgic treats from childhood—like Little Debbie-inspired oatmeal cream pies, Hostess cupcakes and Sno Balls—with healthier, allergy-free ingredients,” she says. Retrobaked takes custom orders and delivers to the Sarasota-Bradenton area; the shop is also open during Village of the Arts’ monthly Artwalks and for special pop-ups throughout the year. For more info, visit retrobaked.com. In addition to sweet treats, you’ll also find vintage wares—like cookbooks, aprons and dishes—for sale. Sokolewicz eventually hopes to open up a commercial kitchen space—possibly with a small storefront—and branch out to offering savory items, like bread.